We love an interesting pair of shoes, especially when the shoes come from a notable fashion house that doesn’t specialize in footwear. It’s always interesting how a non-shoe-specialty brand aligns its designs with the aesthetics of its clothing. One fashion house that recently did just this? Marchesa. Actress Bellamy Young was kind enough to give us a glimpse of Marchesa’s unique footwear designs as she graced the ELLE “Women in Hollywood” Awards in Los Angeles. Bellamy arrived on the red carpet in a floral dress by British label Couturissimo, which should have looked whimsical on its own, but came out looking frumpy instead. The 46-year-old finished her look with a clutch from Lee Savage, jewelry from Sylva & Cie, and her Marchesa “Allie” wedge sandals, of course. 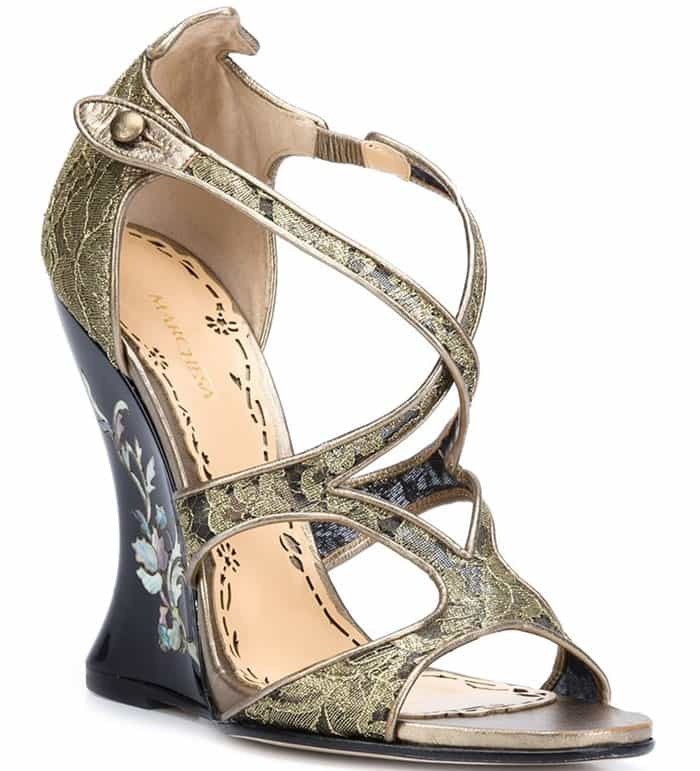 While this isn’t one of Bellamy’s best looks, we’re grateful that she brought the Marchesa “Allie” wedge sandals to life. Marchesa has gained worldwide popularity due to its ethereal dresses in flowy fabrics, so we were pretty intrigued as to how the brand’s aesthetic would translate to footwear. While it’s definitely not for the faint-hearted, we think the shoes are gorgeous. 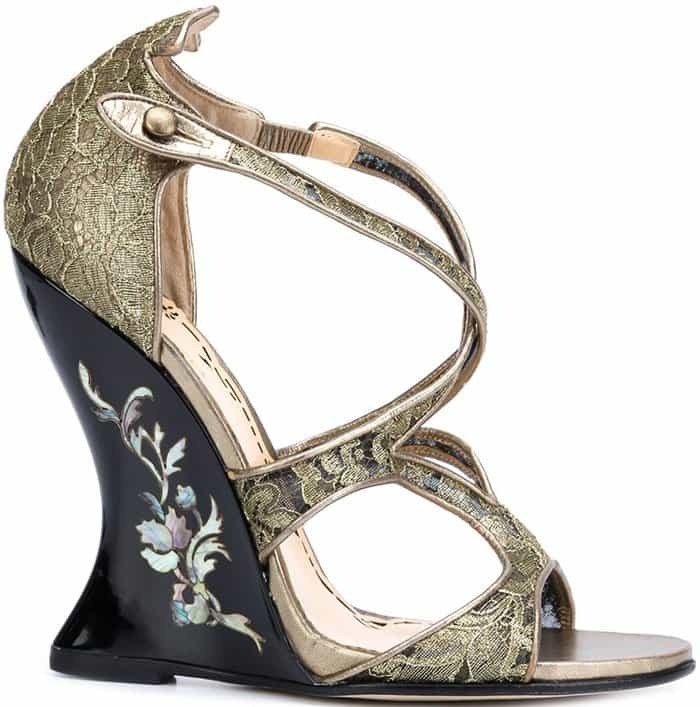 Shop the antique gold leather ‘Allie’ sandals from Marchesa at Farfetch.